The Regulation of Interception of Communications and Provision of Communication-Related Information Act has been updated by the inclusion of a notice regarding the requirement to register all cellphone numbers from 1 July 2009. The Public Service Act, 1994, has been updated with the inclusion of Schedules 1 to 4, and Government Notices 912, 913, 914 and 915 published in Government Gazette No. 32576 dated 17 September 2009. The Constitution of the Republic of South Africa, 1996 has been updated with Proclamation No. 56 of 2009 published in Government Gazette No. 32549 dated 4 September 2009. The National Land Transport Act, 2009 has now been updated by the inclusion of Regulations on Contracting for Public Transport Services published in Government Gazette No. 32535 dated 31 August 2009. The Income Tax Act, 1962 has been updated by Notice No. 892 published in Government Gazette No. 32546 dated 31 August 2009, regarding Determination of Interest Rate. The Public Finance Management Act, 1999 has been updated with Government Notice No. 886 of 2009 – statement of the National Revenue, Expenditure and Borrowing as at 31st July 2009, published in Government Gazette No. 32541 dated 31st August 2009. The National Land Transport Act, 2009 has been updated with Proclamation No. 54 of 2009 regarding the commencement of certain sections, published in Government Gazette No. 32532 dated 31 August 2009. The Social Housing Act, 2008 has been updated with Proclamation No. 55 of 2009 regarding the commencement date of the Act, published in Government Gazette No. 32545 dated 31 August 2009. The Broad-Based Black Economic Empowerment Act has been updated by Notice No. 1162 of 2009 in Government Gazette No. 32511 dated 21 August 2009, (Integrated Transport Sector Codes) and a link created to the relevant Gazette. The Tobacco Products Control Act, 1993 has been updated with Government Notice No. 53 of 2009 – commencement of the Amendment Act, 2008 – printed in Government Gazette No. 32345 dated 21 August 2009. The Basic Conditions of Employment Act, 1997 has been updated by an Amendment of Sectoral Determination 2 : Civil Engineering Sector, published in Government Gazette No. 32525 dated 25 August 2009. The Mineral and Petroleum Resources Development Act, 2002 has been substantially changed/updated by the Mineral and Petroleum Resources Development Amendment Act, 2008 published in Government Gazette No. 32151 dated 21 April 2009. The Basic Conditions of Employment Act, 1997 has been updated by Notice No. R. 871 published in Government Gazette No. 32524dated 25 August 2009 – Sectoral Determination No. 6 – Private Security Sector, this Determination having been largely re-written – the amendment coming into operation on the 1st September 2009. The Skills Development Act, 1998 has been updated by Notice No.R. 409 – commencement of Skills Development Amendment Act, 2008, published in Government Gazette No. 32105 dated 6 April 2009, as well as Correction Notice R. 841 published in Government Gazette No. 32500 dated 21 August 2009. The Broadcasting Act, 1999 has been updated by Notice No. 827 of 2009 – Television Licence Tariff Increase, published in Government Gazette No. 32482 dated 7 August 2009. The Income Tax Act, 1962 has been updated by Notice No. 697 regarding Determination of Interest Rate, published in Government Gazette No. 32344 dated 26 June 2009. The Regulation of Interception of Communications and Provision of Communication-Related Information Act, 2002 has been amended by Notice No. 39 of 2009 regarding the Commencement of the Amendment Act, 2008, published in Government Gazette No. 32341 dated 22 June 2009. The Compensation for Occupational Injuries and Diseases Act, 1993 has been updated with Government Notice No. 693 – Increase in Monthly Pensions, and Notice No. 695 – Increase of maximum amount of Earnings, published in Government Gazette No. 32339 dated 22 June 2009. The Second 2010 FIFA World Cup South Africa Special Measures Act, 2006 published in Government Gazette No. 29199 dated 7 September 2006 has also been added, as well as the 2010 FIFA World Cup South Africa Special Measures Safety and Security Regulations, 2009 published in Government Gazette no. 32326 dated 12 June 2009. The Financial Intelligence Centre Act, 2001 has been updated by two Government Notices No. 1354 in Gazette No. 27011 of November 2004 and No. 1035 in Gazette No. 29299 of October 2006 – Second and Third Reporting Exemptions. The Broad-Based Black Economic Empowerment Act. 2003 has been updated with Notice 862 of 2009 regarding Codes of Good Practice – Construction Sector Charter, published in Government Gazette No. 32305 dated 5 June 2009. The Broad-Based Black Economic Empowerment Act, 2003 has been updated by Government notice No. 810 of 2009 published in Government Gazette No. 32467 dated 31 July 2009. The Hazardous Substances Act, 1973 has been updated with a Declaration regarding leaded paint as a Group 1 hazardous substance, published in Government Gazette No. 32455 dated 31 July 2009 – the Declaration only coming into operation 12 months from the date of publication. The Defence Act, 2002 has been updated with Notice No. 799 published in Government Gazette No. 32453 dated 31st July 2009 – Regulations for the Reserve Force – which substitute the regulations previously published. The Electronic Communications Act, 2005 has been updated with End-User and Subscriber Service Charter Regulations 2009, published in Government Gazette No. 32431 dated 24 July 2009. The Value-Added Tax Act, 1991 has been amended by Notice no. R. 766 published in Government Gazette No. 32416 dated 24 July 2009 – a minor amendment to Schedule 1. The Occupational Health and Safety Act, 1993 has been updated by Notice no. R735 of 2009 and Pressure Equipment Regulations published in Government Gazette No. 32395 dated 15 July 2009. These Regulations come into effect on 1 October 2009 and repeal the Vessels under Pressure Regulations, 1996. The Employment Equity Act, 1998 (Act No. 55 of 1998) has been updated by Notice No. 733 of 2009 regarding the Repeal of Employment Equity Regulations 2006, and the inclusion of General Administrative Regulations, 2009 published in Government Gazette No. 32393 dated 14 July 2009. The South African Airways Act, 2007 (Act No. 5 of 2007) has been updated by Proclamation No. 49 of 2009 regarding the date of commencement of this Act published in Government Gazette No. 32390 dated 10 July 2009. The Constitution of the Republic of South Africa, 1996, has been updated by Proclamation No. 44 of 2009 regarding the Transfer of Administration and Powers and Functions to certain Cabinet members, published in Government Gazette No. 32367 dated 1 July 2009. The Electronic Communications Act, 2005 (Act No. 36 of 2005) has been updated with Regulations regarding the Code of Conduct for Broadcasting service licensees, published in Government Gazette No. 32381 dated 6 July 2009. The Public Service Act, 1994 has been updated by the inclusion of an amended Schedule 1, being Notice No. 48 of 2009 published in Government Gazette No. 32387 dated 7th July 2009. The Electronic Communications Act, 2005 (Act No. 36 of 2005) has been updated by Notice no. R. 720 of 2009 – "Digital Terrestrial Television Regulations" published in Government Gazette No. 32377 dated 3 July 2009. The Public Finance Management Act, 1999 (Act No. 1 of 1999) has been updated by Notice No. 935 of 2009 regarding "Rate of Interest on Government Loans" published in Government Gazette No. 32349 dated 3 July 2009. The Financial Intelligence Centre Act (Act No. 38 of 2001) has been updated with "Guidance for Banks on Customer Identification and Verification and Related Matters" – Government Notice No. 715 published in Government Gazette No. 27803 dated 18 July 2005. The Defence Act, 2002 (Act No. 42 of 2002) has been updated by Regulations for the Reserve Force, being Government Notice No. R. 714 published in Government Gazette No. 32359 dated 1 July 2009. The Compensation for Occupational Injuries and Diseases Act, 1993 has been updated with Government Notice No. 241 published in Government Gazette No. 31974 dated 5 March 2009 regarding Rules, Forms and Particulars; and an Amendment of Schedule 4 of the Act, being Notice No. 694 published in Government Gazette No. 32339 dated 22 June 2009. The Regulation of Interception of Communications and Provision of Communication-Related Information Act, 2002 (Act No. 70 of 2002) has been amended by the inclusion of Notice No. 1325 of 2005 published in Government Gazette No. 28271 dated 28 November 2005; being Directives in respect of different categories of Telecommunications Service Providers. The Basic Conditions of Employment Act, 1997 (Act No. 75 of 1997) has been updated with an amendment to the Sectoral Determination 12 : Forestry Sector, published in Government Gazette No. 32060 dated 27 March 2009. The Promotion of Access to Information Act, 2000 (Act No. 2 of 2000) has been amended by the inclusion of Forms D and E from the Amendment of Regulations published in Government Gazette No. 29914 dated 1 June 2007. The Correctional Services Act, 1998 (Act No. 111 of 1998) has been updated by the inclusion of a new Disciplinary Code and Procedure, published in Government Gazette No. 32253 dated 29 May 2009. The National Environmental Laws Amendment Act, 2009 (Act No. 14 of 2009) as published in Government Gazette No. 32267 dated 27 May 2009, has amended the Environment Conservation Act, 1989 and the National Environmental Management Act, 1998. The Regulation of Interception of Communications and Provision of Communication-related Information Act, 2002 (Act No. 70 of 2002) has been updated by Government Notices No. R. 92 and R. 93, published in Government Gazette No. 31844 dated 6 February 2009. The Recognition of Customary Marriages Act, 1998 (Act No. 120 of 1998) has been updated with two Government Notices, No. R. 1390 and No. R. 1391 printed in Government Gazette No. 31735 dated 24 December 2008. The Consumer Protection Act, 2008 (Act No. 68 of 2008) has been added to the site, as published in Government Gazette No. 32186 dated 29 April 2009 – please note Schedule 2 of the Act regarding the promulgation. The Mine Health and Safety Act, 1996 has been updated by the Mine Health and Safety Amendment Act, 2008 (Act No. 74 of 2008) published in Government Gazette No. 32140 dated 17 April 2009. The Housing Development Agency Act, 2008 has been updated with Notice No. 539 of 2009 regarding the appointment of members of the Housing Development Agency (HDA) Board published in Government Gazette No. 32212 dated 15 May 2009. The Housing Consumer Protection Measures Act, 1998 has been updated with Notice No. 540 of 2009 regarding the appointment of members of the National Home Builders Registration Council published in Government Gazette No. 32212 dated 15 May 2009. The Diplomatic Immunities and Privileges Act, 2001 has been updated by the Diplomatic Immunities and Privileges Amendment Act, 2008 published in Government Gazette No. 31649 dated 27 November 2008. The Financial Advisory and Intermediary Services Act, 2002 has been updated with a Board Notice regarding requirements for professional indemnity and fidelity insurance cover for providers, 2009, published in Government Gazette No. 32037 dated 25 March 2009. The Postal Services Act No. 124 of 1998 has been updated by the inclusion of ICASA Fees and Charges for Postal Services, published in Government Gazette No. 31842 dated 30 January 2009. The National Sport and Recreation Act, 1998 (Act No. 110 of 1998) has been updated by the inclusion of Fitness Industry Regulations, 2009, dated 31st March 2009. The Further Education and Training Colleges Act, 2006 (Act No. 16 of 2006) has been updated with National Norms and Standards for Funding published in Government Gazette No. 32010 dated 16th March 2009. The Electronic Communications Act No. 36 of 2005 has been updated with the ICASA General Licence Fees Regulations, printed in Government Gazette No. 32084 dated 1 April 2009. The Income Tax Act, 1962 (Act No. 58 of 1962) has been updated by the inclusion of Government Notice No. 412 of 2009, being a Declaration of as person as an Employee, printed in Government Gazette No. 32109 dated 7th April 2009. The Long-term Insurance Act No. 52 of 1998 has been updated with an Amendment to the Regulations published in Government Gazette No. 31395 dated 5 September 2008; Board Notice No. 81 of 2008, and an Amendment thereto, published in Government Gazette No.32078 dated 7 April 2009. The National Energy Act, 2008 (Act No. 34 of 2008) has been added to the site, and was published in Government Gazette No. 31638 dated 24 November 2008, as well as a Proclamation regarding sections coming into operation, from Government Gazette No. 32082 dated 1 April 2009. The National Land Transport Act, 2009 (Act No. 5 of 2009) has been added to the site, and was published in Government Gazette No. 32110 dated 8 April 2009. The Companies Act, 2008 (Act No. 71 of 2008) has been added to the site (but please take note of section 225 regarding the promulgation of this Act).The Act was published in Government Gazette No. 32121 dated 9 April 2009. The Collective Investment Schemes Control Act, 2002 (Act No. 45 of 2002) has been updated with Government Notice No. 377 of 2009 regarding the suspension of provision of deed, published in Government Gazette No. 32114 dated 17 April 2009. The Constitution of the Republic of South Africa, 1996 has been updated with the Constitution Sixteenth Amendment Act of 2009, as published in Government Gazette No. 32065 dated 26 March 2009 as well as a Government Notice regarding the commencement of this Amendment. The Broadcasting Act, 1999 (Act No. 4 of 1999) has been updated by the Broadcasting Amendment Act, 2009 (Act No. 4 of 2009) as published in Government Gazette No. 31999 dated 10 March 2009. The Animal Health Act, 2002 (Act No. 7 of 2002) has been added to the site, and was published in Government Gazette No. 23675 dated 30 July 2002. The National Qualifications Framework Act, 2008 (Act No. 67 of 2008) has been added to the site, as published in Government Gazette No. 31909 dated 17 February 2009. The Higher Education Act, 1997 (Act No. 101 of 1997) has been updated with the Higher Education Amendment Act No. 39 of 2008, as published in Government Gazette No. 31651 dated 27 November 2008. The Regulation of Interception of Communications and Provision of Communication-related Information Act, 2002 (Act No. 70 of 2002) has been amended by the Amendment Act No. 48 of 2008, published in Government Gazette No. 31784 dated 9 January 2009. The Social Housing Act, 2008 (Act No. 16 of 2008) has been added to the site, as published in Government Gazette No. 25721 dated 5 November 2008.
the Promotion of Equality and Prevention of Unfair Discrimination Act, 2000. The Competition Act, 1998 (Act No. 89 of 1998) has been updated with Government Notices No. 215 and 216 of 2009, published in Government Gazette No. 31957 dated 6 March 2009. The Human Sciences Research Council Act, 2008 (Act No. 17 of 2008) has been added to the site, as published in Government Gazette No. 31470 dated 30 September 2008. The Promotion of Access to Information Act, 2000 has been updated with an amendment to the Regulations published in Government Gazette No. 29914 dated 1 June 2007. The National Water Act, 1998 (Act No. 36 of 1998) has been updated with two Notices regarding "Extension of Time Period of General Authorisations in term of Section 39", published in Government Gazette No. 32013 dated 20 March 2009. The Road Accident Fund Act, 1996 (Act No. 56 of 1996) has been updated with a Board Notice regarding Adjustment of Statutory Limit, published in Government Gazette No. 31813 dated 30 January 2009. The Companies Act, 1973 (Act No. 61 of 1973) has been updated with an Amendment to the Administrative Regulations, published in Government Gazette No. 32002 dated 13 March 2009. The Close Corporations Act, 1984 (Act No. 69 of 1984) has been updated with an Amendment to the Administrative Regulations, published in Government Gazette No. 32002 dated 13 March 2009. The National Environmental Management Act, 1998 (Act No. 107 of 1998) has been updated with the National Environmental Management Amendment Act, 2008 (Act No. 62 of 2009) published in Government Gazette No. 31789 dated 9 January 2009. The Natural Scientific Professions Act, 2003 has been updated with Board Notice No. 30 of 2009, being Registration and Annual Fees as published in Government Gazette No. 31987 dated 13 March 2009. The Public Service Act, 1994 has been updated with an amendment to the Regulations, being Notice No. R332 published in Government Gazette No. 32040 dated 20 March 2009. The Disaster Management Act, 2002 (Act No. 57 of 2002) has been updated with two Notices regarding Classification of a Disaster regarding xenophobic attacks, printed in Government Gazette No. 31130 dated 13 June 2008. The Occupational Health and Safety Act, 1993 (Act No. 85 of 1993) has been updated by the addition of Electrical Installation Regulations, 2009, published in Government Gazette No. 31975 dated 6 March 2009. The Basic Conditions of Employment Act, 1997 (Act No.75 of 1997) has been updated with an Amendment to Sectoral Determination No. 13 – Farm Worker Sector. The Constitution of the Republic of South Africa, 1996 has been updated with the Constitution Fourteenth Amendment Act No. 24 of 2008, and the Constitution Fifteenth Amendment Act No. 25 of 2008. The Tobacco Products Control Act, 1993 (Act No. 83 of 1993) has been updated by the Tobacco Products Control Amendment Act, 2008 (Act No. 63 of 2008) as published in Government Gazette No. 31790 dated 9 January 2009. The Medical Schemes Act, 1998 (Act No. 131 of 1998), has been updated with Notice No. 107 of 2009 published in Government Gazette No. 31836 dated 5 February 2009 – being an updated list of registered medical schemes. The Public Finance Management Act, 1999 has been updated with Notice No. 179 of 2009 relating to Rate of Interest on Government Loans, published in Government Gazette No. 31893 dated 20 February 2009. The Income Tax Act, 1962 (Act No. 58 of 1962) has been updated by the inclusion of Government Notice No. 180 of 2009 – Determination of Interest Rate; Government Notice No. 171 of 2009 – Determination of Daily Amount; Government Notice No. 289 of 2009 – Notice in terms of the Second Schedule, and Government Notice No. 290 of 2009 – Notice in terms of Section 1 of the Act. The Environment Conservation Act, 1989 (Act No. 73 of 1989) has been updated with new Waste Tyre Regulations, 2009, published in Government Gazette No. 31901 dated 13 February 2009. The South African Schools Act, 1996 (Act No. 84 of 1996) has been updated with Government Notice No. 78 of 2009 relating to a change of date in the National Norms and Standards for School Funding (NNSSF), published in Government Gazette No. 31848 dated 30 January 2009. The General and Further Education and Training Quality Assurance Act, 2001 (Act No. 58 of 2001) has been updated by the General and Further Education and Training Quality Assurance Amendment Act, 2008 (Act No. 50 of 2008) published in Government Gazette No. 31785 dated 9 January 2009. The National Heritage Resources Act, 1999 (Act No. 25 of 1999) has been updated by Notice No. 120 – declaration of National Heritage Site, and Notice No. 121 - declaration of National Heritage Site, both published in Government Gazette No. 31864 dated 13 February 2009. The National Veld and Forest Fire Act, 1998 (Act No. 101 of 1998) has been updated with the National Fire Danger Rating System published in Government Gazette No. 27735 dated 8 July 2005. The Road Traffic Management Corporation Act, 1999 (Act No. 20 of 1999), has been updated by the Road Traffic Management Corporation Regulations, published in Government Gazette No. 29852 dated 30 April 2007. The Standards Act, 2008 (Act No. 8 of 2008) has been updated by Government Notice No. 33 of 2008 regarding date of commencement of Act published in Government Gazette No. 31391 dated 1 September 2008. The Administrative Adjudication of Road Traffic Offences Act, 1998 (Act No. 46 of 1998) has been updated by Government Notices No. 24 of 2008 and R.25 of 2008 published in Government Gazette No. 31197 and 31198 dated 1 July 2008, and the inclusion of Regulations, 2008 being Notice No. R.753 published in Government Gazette No. 31242 dated 16 July 2008. The Protection of Constitutional Democracy against Terrorist and Related Activities Act, 2004 (Act No. 33 of 2004) has been updated by the inclusion of various "Notifications by the President under Section 25" dating from 2005 to September 2008. The National Small Business Act, 1996, (Act No. 102 of 1996) has been updated with by the National Small Business Amendment Act, 2004 (Act No. 29 of 2004) as published in Government Gazette No. 27101 dated 15 December 2004. The Securities Transfer Tax Administration Act, 2007. The Natural Scientific Professions Act, 2003 (Act No. 27 of 2003) has been replaced with the version appearing in Government Gazette No. 25774 dated 28 November 2003, and updated with an amendment notice dated 16 April 2004, and Board Notice 18 of 2008 dated 28 March 2008. The National Research Foundation Act, 1998 (Act No. 23 of 1998) has been updated with Government Notice No. 26 of 2006 dealing with the appointment of President and Chief Executive Officer of the Foundation. The Public Service Commission Act, 1997 (Act No. 46 of 1997) has been updated by four Government Notices dated between 1999 and July 2003, all being Rules dealing with aspects of the Public Service. The National Environmental Management Act, 1998 (Act No. 107 of 1998) has been updated with various Regulations gazetted in July 2005, April 2006, and June 2006, and a link created for three Environmental Implementation Plans dated 2008, for the Department of Defence, Environmental Affairs and Tourism and Minerals and Energy. The Construction Industry Development Board Act, 2000 (Act No. 38 of 2000) has been updated with the Construction Industry Development Second Amendment Regulations, 2008 published in Government Gazette No. 31603 dated 14 November 2008. The Skills Development Act, 1998 (Act No. 97 of 1998) has been updated by an amendment Act published in Government Gazette No. 25720 dated 14 November 2003; an amendment to Regulations dated 7 March 2003, and the Skills Development Amendment Act, 2008 published in Government Gazette No. 31666 dated 1 December 2008. The Occupational Health and Safety Act, 1993 (Act No. 85 of 1993) has been updated with Government Notices No. R. 257 of 7 March 2008 and R. 260 of 30 March 2007 – Driven Machinery Regulations, as well as Notice No. R.683 of 27 June 2008 – amendment to the Hazardous Chemical Substances Regulations. The Labour Relations Act, 1995 (Act No. 66 of 1995) has been updated by an amendment notice to the Commission for Conciliation, Mediation and Arbitration, printed in Government Gazette No. 31564 dated 7 November 2008. The Basic Conditions of Employment Act, 1997 (Act No. 75 of 1997) has been updated with Government Notice No. R.300 dated 14 March 2008 – "Determination : Earnings Threshold"; Notice No. R. 541 dated 16 May 2008 – "Sectoral Determination 14 : Hospitality Sector"; an Amendment to Sectoral Determination 11 : Taxi Sector – being Notice No. R.675 dated 20 June 2008; and an Amendment to Sectoral Determination 7 : Domestic Worker Sector – being Notice No. R. 1225 dated 14 November 2008. The Regulation of Interception of Communications and Provision of Communication-Related Information Act, 2002 (Act No. 70 of 2002) has been updated by the addition of a Government Notice in terms of Section 44 printed in Government Gazette No. 28371 dated 29 December 2005. The Recognition of Customary Marriages Act, 1998 (Act No. 120 of 1998) has been updated by an amendment to the regulations as published in Government Gazette No. 25023 dated 14 March 2003. The Promotion of Access to Information Act, 2000 (Act No. 2 of 2000) has been updated by Government Notice No. 240 of 2007; No. 96 of 2008; No. 380 of 2008 and No. 381 of 2008 – all entitled "description submitted in terms of Section 15(1)". The Housing Act, 1997 (Act No. 107 of 1997) has been updated with Government Notice No. 932 of 2005 – Notice of Expropriation, printed in Government Gazette No. 27684 dated 24 June 2005. The Immigration Act, 2002 (Act No. 13 of 2002) has been updated by the inclusion of a Government Notice published in Government Gazette No. 30975 dated 15 April 2008, relating to Specific Professional Categories and Specific Occupational Classes. The National Health Act, 2003 (Act No. 61 of 2003), has been updated with a Government Notice regarding the commencement of Section 53 – published in Government Gazette No. 31187 dated 27 June 2008. The Public Finance Management Act, 1999 (Act No. 1 of 1999), has been updated with Government Notice No. 516 dated 9 May 2008 relating to Prescribing Standards of GRAP; and Notice No. 830 of 2008 being Rate on the Interest on Government Loans dated 4 July 2008. The National Heritage Resources Act, 1999 (Act No. 25 of 1999) has been updated with various Government Notices dated between September 2002 up to April 2008. The Higher Education Act, 1997 (Act No. 101 of 1997) has been updated with the addition of "Minimum Admission Requirements" revised in May 2008 and published in Government Gazette No. 31231 dated 11 July 2008. The Correctional Services Act, 1998 has been amended by the Correctional Services Amendment Act, 2008, (Act No. 25 of 2008), as published in Government Gazette No. 31593 dated 11 November 2008. The South African Boxing Act, 2001 has been added to the site, as published in Government Gazette No. 22526 dated 17 August 2001; Regulations have been added from Government Gazette No. 26161 dated 26 March 2004, and an amendment to the regulations added which was printed in Government Gazette No. 27824 dated 29 July 2005. The Liquor Act, 2003 (Act No. 59 of 2003) has been added to the site, as published in Government Gazette No. 26294 dated 26 April 2004, and Regulations added as printed in Government Gazette No. 26689 dated 17 August 2004, and an Amendment to the Regulations as published in Government Gazette No. 30718 dated 1 February 2008. The Financial Intelligence Centre Act, 2001 has been amended by the Financial Intelligence Centre Amendment Act, 2008 (Act No. 11 of 2008) as printed in Government Gazette No. 31365 dated 27 August 2008. The South African Institute for Drug Free Sport Act, 1997 (Act No. 14 of 1997) has been added to the site, and amended by the South African Institute for Drug-Free Sport Amendment Act, 2006 (Act No. 25 of 2006), as published in Government Gazette No. 29805 dated 17 April 2007. The Older Persons Act, 2006 (Act No. 13 of 2006) has been added to the site, as published in Government Gazette No. 29346 dated 2 November 2006. The National Research Foundation Act, 1998 (Act No. 23 of 1998), has been added to the site, as published in Government Gazette No. 19017 dated 3 July 1998. The Short-term Insurance Act, 1998. The Local Government : Municipal Systems Act, 2000 has been added to the site as published in Government Gazette No. 21776 dated 20 November 2000. The Local Government : Municipal Finance Management Act, 2003 has been added to the site, as published in Government Gazette No 26019 dated 13 February 2004. The Intergovernmental Relations Framework Act, 2005 (Act No. 13 of 2005) has been added to the site – as published in Government Gazette No. 27898 dated 15 August 2005, and also included are Guidelines for Managing Joint Programmes as published in Government Gazette No. 30140 dated 3 August 2007. The Broadcasting Act, 1999 (Act No. 4 of 1999) has been added to the site. The Manpower Training Act, 1981 (Act No. 56 of 1981) has been added to the site, and amended by Notice No. R. 808 in Government Gazette No. 23507 dated 14 June 2002, and Notice No. R. 851 in Government Gazette No. 29134 dated 25 August 2006. The Commission for the Promotion and Protection of the Rights of Cultural, Religious and Linguistic Communities Act, 2002, has been added to the site, as printed in Government Gazette No. 23676 dated 30 July 2002. The Housing Development Agency Act, 2008 (Act No. 23 of 2008) has been added to the site, as printed in Government Gazette No. 31472 dated 30 September 2008. The Collective Investment Schemes Control Act, 2002. The Public Service Commission Act, 1997 (Act No. 46 of 1997) has been added to the site. The Genetically Modified Organisms Act, 1997 (Act No. 15 of 1997), has been added to the site, and amended by the Genetically Modified Organisms Amendment Act No. 23 of 2006. The Public Service Act, 1994 and Regulations, 2001 has been added to the site, as published in Government Gazette No. 15791 dated 3 June 1994. The Natural Scientific Professions Act, 2003 (Act No. 106 of 2003) has been added to the site. The Skills Development Act has been extensively updated by the inclusion of various "Approval of Constitutions" (SETA’s) and amendments from 2004 to 2008. The Protection of Constitutional Democracy Against Terrorist and Related Activities Act, 2004 (Act No. 33 of 2004) has been added to the site. The Eskom Conversion Act, 2001 (Act No. 13 of 2001) has been added to the site, as published in Government Gazette No. 22545 dated 3 August 2001. The Communal Land Rights Act, 2004 (Act No. 11 of 2004) has been added to the site, as published in Government Gazette No. 26590 dated 20 July 2004. The Media Development and Diversity Agency Act, 2002 (Act No. 14 of 2002) has been added to the site, as published in Government Gazette No. 23541 dated 24 June 2002. The Diplomatic Immunities and Privileges Act, 2001 (Act No. 37 of 2001) has been added to the site, as published in Government Gazette No. 22876 dated 29 November 2001. The Defence Act, 2002 (Act No. 42 of 2002) has been added to the site. The National Gambling Act, 2004 (Act No. 7 of 2004) has been updated by the National Gambling Amendment Act, 2008 (Act No. 10 of 2008) as published in Government Gazette No. 31245 dated 14th July 2008. The Standards Act, 2008 (Act No. 8 of 2008) has been added to the site, as published in Government Gazette No. 31253 dated 18 July 2008. The Road Accident Fund Amendment Act, 2001 (Act No. 15 of 2001); the Revenue Laws Amendment Act, 2001 (Act No. 19 of 2001); the Road Accident Fund Amendment Act, 2002 (Act No. 43 of 2002); the Revenue Laws Amendment Act, 2005 (Act No. 31 of 2005); the Road Accident Fund Amendment Act, 2005 (Act No. 19 of 2005); Road Accident Fund Regulations, 2008 published in Government Gazette No. 31249 dated 21 July 2008. The Collective Investment Schemes Control Act, 2002 (Act No. 45 of 2002) has been added to the site, as published in Notice No. 1583 in Government Gazette No. 24182 dated 13 December 2002; and this Act has also been updated with Government Notice No. 569 of 2003 published in Government Gazette No. 24984 dated 28 February 2003; and amended by Notice No. 1874 of 2004 and Notice No. 103 of 2005. The Nursing Act, 2005 (Act No. 33 of 2005) has been added to the site, as published in Government Gazette No. 28883 dated 29 May 2006. The Choice on Termination of Pregnancy Act, 1996 (Act No. 92 of 1996) has been added to the site, as published under Notice No. 1891 dated 22 November 1996; and has also been updated by the Choice on Termination of Pregnancy Amendment Act, 2004 (Act No. 38 of 2004) published in Government Gazette No. 27267 dated 11 February 2005, as well as the Choice on Termination of Pregnancy Amendment Act, 2008 (Act No. 1 of 2008) published in Government Gazette No. 30790 dated 18 February 2008. The Children's Act, 2005 (Act No. 38 of 2005) has been added to the site, as published in Government Gazette No. 28944 dated 19 June 2006, and has been amended by the Children’s Amendment Act, 2007 (Act No. 41 of 2007), published in Government Gazette No. 30884 dated 18 March 2008. The Finance Act, 2007 (Act No. 2 of 2007) has been added to the site, as published in Government Gazette No. 29764 dated 31 March 2007. The Final Relief on Tax, Interest, Penalty and Additional Tax Act, 1996 has been added to the site. Amendment of Regulations being Notice No. 1121 printed in Government Gazette No. 30510 dated 23 November 2007. The Intelligence Services Act, 2002 (Act No. 65 of 2002) has been updated with the Intelligence Services Regulations, 2003, being Notice No. R.1505 published in Government Gazette No. 25592 dated 16 October 2003. ICASA Regulations published in Government Gazette No. 30690 dated 23 January 2008. The National Health Act, 2003 (Act No. 61 of 2003) has been added to the site, and includes Regulations from 2006 and 2007 regarding Reference Price Lists, Human Stem Cells and Forensic Pathology Service. The Firearms Control Act, 2000 (Act No. 60 of 2000) has been updated by the addition of the Firearms Control Regulations, 2004 published in Government Gazette No. 26156 dated 26 March 2004. The Employment Equity Act, 1998 (Act 55 of 1998) has been updated with the General Administrative Regulations, 2006, printed in Government Gazette No. 29130 dated 18 August 2006. The Tobacco Products Control Act, 1993 has been updated by the Tobacco Products Control Amendment Act, 2007 (Act No. 23 of 2007) published in Government Gazette No. 30821 dated 28 February 2008. The Mental Health Care Act, 2002 has been updated and amended by the addition of General Regulations, Notice No. R. 1467 published in Government Gazette No. 27117 dated 15 December 2004; and also correction notice No. R.98 published in Government Gazette No. 27236 dated 11 February 2005. Home Builder Grading System being Notice No. R. 192 printed in Government Gazette No. 30782 dated 22 February 2008. The Sectional Titles Amendment Act, 2006 (Act No. 6 of 2006) published in Government Gazette No. 29066 dated 25 July 2006. The Estate Agents Affairs Act, 1976 (Act No. 112 of 1976) has been updated by Notice No. 373 of 2006 printed in Government Gazette No. 28588 dated 2 March 2006. The Tourism Act 1993 (Act No. 72 of 1993) has been updated by Regulations in respect of Tourist Guides published in Government Gazette No. 22563 dated 17 August 2001. National Environmental Management Amendment Act, No. 8 of 2004 published in Government Gazette No. 26570 dated 14 July 2004. The National Forests Act, 1998, has been updated by the Forestry Laws Amendment Act, 2005, published in Government Gazette No. 28602 dated 9 March 2006. The South African Airways Act, 2007 (Act No. 5 of 2007) has been added to the site – as published in Notice No. 524 in Government Gazette No. 30012 dated 27 June 2007. Amendment to Regulations, being Notice No. R. 109 in Government Gazette No. 29602 dated 6 February 2007. Board Notice No. 94 of 2007 printed in Government Gazettes No. 30316 dated 28 September 2007. Board Notice No. 101 of 2007 in Government Gazette No. 30392 dated 26 October 2007. "List of Medical Schemes registered" replacing previous lists, being Board Notice No. 14 of 2008 published in Government Gazette No. 30789 dated 18 February 2008. "Amendment of Regulations" in Notice No. R456 printed in Government Gazette No. 27580 dated 20 May 2005. Notice No. 469 of 2005 – Advance Fee Payment Schemes – published in Government Gazette No. 27414 dated 24 March 2005. The Usury Act, 1968 (Act No. 73 of 1968) has been updated by the addition of Notice No. 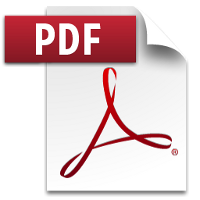 166 – annual finance charge rates- printed in Government Gazette No. 29661 dated 26 February 2007. Notice No. 41 of 2008 – Rate on the Interest on Government Loans – in Government Gazette No. 30666 dated 13 December 2007. Determination of Compliance Reports in Notice No. 90 of 2007 in Government Gazette No. 30228 dated 29 August 2007. Notice No. 1354 of 2005 in Government Gazette No. 27864 dated 2 August 2005. The Mineral and Petroleum Resources Development Act, 2002 (Act No. 28 of 2002) has been amended by Regulations printed in Notice No. R.527 Government Gazette No. 26275 dated 23 April 2004, and has been updated by Amendments to these Regulations as published in Notice No. R 1288 Government Gazette No. 26942 dated 29 October 2004. The Electronic Communications Act, 2005 (Act No. 36 of 2005) has been added to the site; The Act has been amended by the Electronic Communications Amendment Act, 2007 (Act No. 37 of 2007). The Income Tax Act, 1962. The Uncertificated Securities Tax Act, 1998.
the General and Further Education and Training Quality Assurance Act, 2001. The Constitution of the Republic of South Africa, 1996 has been updated by the addition of the Constitution Thirteenth Amendment Act of 2007 (Act No. 23 of 2007). The Compensation for Occupational Injuries and Diseases Act, 1993 (Act No. 130 of 1993) has been extensively updated by the addition of 37 (not listed here) Government Notices, Circular Instructions, and Amendments between 2001 and 2008, ending with Amended Regulations in Government Gazette No. 30646 dated 11 January 2008. The Child Care Act, 1983 (Act No. 74 of 1983) has been updated with a minor amendment to the Regulations as printed in Notice No. R. 923 published in Government Gazette No. 25109 dated 27 June 2003. The National Sport and Recreation Act, 1998 (Act No. 110 of 1998) has been amended by the National Sport and Recreation Amendment Act, 2007 (Act No. 18 of 2007), as published in Government Gazette No. 30476 dated 16 November 2007. The National Water Act (Act No. 36 of 1998) has been updated by the addition of Regulations published in Government Gazette No. 30427 dated 31 October 2007. Banks Amendment Act, 2007 (Act No. 20 of 2007) printed in Government Gazette No. 30474 dated 15 November 2007. The Immigration Amendment Act, 2007 (Act No. 3 of 2007) published in Government Gazette No. 300095 dated 18 July 2007. The Education Laws Amendment Act No. 24 of 2005 has amended the South African Schools Act 1996. The Education Laws Amendment Act, No. 1 of 2004 has amended the South African Schools Act, 1996 as well as the General and Further Education and Training Quality Assurance Act, 2001. The Construction Industry Development Board Act No. 38 of 2000 has been amended by the addition of Government Notice No. 127 of 2003 in Government Gazette No. 25656 dated 31 October 2003, regarding a Code of Conduct for Construction Procurement. r.An amendment of Sectoral Determination No. 2 (Civil Engineering Sector) has been added as printed in Government Gazette No. 29635 dated 16 February 2007.
s.Sectoral Determination No. 14 (Hospitality Sector) has been added as printed in Government Gazette No. 29885 dated 15 May 2007. The Mine Health and Safety Act, 1996 has been updated by various additions to the Regulations. The Promotion of Access to Information Act, 2000 has been amended by the Judicial Matters Second Amendment Act No. 55 of 2004. The Divorce Act, 1979 has been amended by the Judicial Matters Second Amendment Act No. 55 of 2004. The Promotion of Equality and Prevention of Unfair Discrimination Act, 2000 has been amended by the Judicial Matters Second Amendment Act No. 55 of 2004 and the Judicial Matters Amendment Act No. 22 of 2005. The Promotion of Administrative Justice Act, 2000 has been amended by the Judicial Matters Second Amendment Act No. 55 of 2004 and the Judicial Matters Amendment Act No. 22 of 2005. The Maintenance Act, 1998 has been amended by the Judicial Matters Second Amendment Act No. 55 of 2004 and the Judicial Matters Amendment Act No. 22 of 2005. The Administration of Estates Act, 1965 has been amended by the Judicial Matters Amendment Act No. 22 of 2005. The Close Corporations Act, 1984 has been amended by the Close Corporations Amendment Act No. 25 of 2005 and the Corporate Laws Amendment Act No. 24 of 2006. The Companies Act, 1973 has been amended by the Judicial Matters Amendment Act No. 22 of 2005 and the Corporate Laws Amendment Act No. 24 of 2006. The Uncertificated Securities Tax Act, 1998 has been amended by the Revenue Laws Amendment Act No. 31 of 2005; the Revenue Laws Second Amendment Act No. 32 of 2005; the Small Business Tax Amnesty and Amendment of Taxation Laws Act No. 9 of 2006; the Revenue Laws Amendment Act No. 20 of 2006, and the Revenue Laws Second Amendment Act No. 21 of 2006. The Stamp Duties Act, 1968 has been amended by the Revenue Laws Amendment Act No. 31 of 2005; the Revenue Laws Second Amendment Act No. 32 of 2005; the Small Business Tax Amnesty and Amendment of Taxation Laws Act No. 9 of 2006; the Second Small Business Tax Amnesty and Amendment of Taxation Laws Act No. 10 of 2006; the Revenue Laws Amendment Act No. 20 of 2006, and the Revenue Laws Second Amendment Act No. 21 of 2006. The Estate Duty Act, 1955 has been amended by the Revenue Laws Amendment Act No. 31 of 2005; the Revenue Laws Second Amendment Act No. 32 of 2005; the Small Business Tax Amnesty and Amendment of Taxation Laws Act No. 9 of 2006; the Revenue Laws Amendment Act No. 20 of 2006, and the Revenue Laws Second Amendment Act No. 21 of 2006. The Value-Added Tax Act, 1991 has been amended by the Revenue Laws Amendment Act No. 31 of 2005; the Revenue Laws Second Amendment Act No. 32 of 2005; the Small Business Tax Amnesty and Amendment of Taxation Laws Act No. 9 of 2006; the Second Small Business Tax Amnesty and Amendment of Taxation Laws Act No. 10 of 2006; the Revenue Laws Amendment Act No. 20 of 2006, and the Revenue Laws Second Amendment Act No. 21 of 2006. The Income Tax Act 1962 has been amended by the Revenue Laws Amendment Act No. 31 of 2005; the Revenue Laws Second Amendment Act No. 32 of 2005; the Small Business Tax Amnesty and Amendment of Taxation Laws Act No. 9 of 2006; the Second Small Business Tax Amnesty and Amendment of Taxation Laws Act No. 10 of 2006; the Revenue Laws Amendment Act No. 20 of 2006, and the Revenue Laws Second Amendment Act No. 21 of 2006. The Revenue Laws Amendment Act, 2003 has amended the Estate Duty Act, 1955, the Income Tax Act, 1962, the Stamp Duties Act, 1968, the Value-Added Tax Act, 1991, the Uncertificated Securities Tax Act, 1998, the Unemployment Insurance Contributions Act, 2002, the Skills Development Levies Act, 1999, and the Exchange Control Amnesty and Amendment of Taxation Laws Act, 2003. (6 February 2004). The Construction Regulations, 2003 have been added to the Occupational Health and Safety Act, 1993. The General Administrative Regulations, 2003 have also been added as well as amendments to the Hazardous Chemical Substances Regulations and General Safety Regulations (13 September 2003). The Insurance Amendment Act, 2003 has amended the Long-term Insurance Act, 1998 and the Short-term Insurance Act, 1998. The Close Corporations Act, 1984. The South African Qualifications Authority Act, 1995 has been added to the site (26 August 2003). The South African Schools Act, 1996 has been added to the site (26 August 2003). The National Education Policy Act, 1996 has been added to the site (26 August 2003). The Higher Education Act, 1997 has been added to the site (26 August 2003). The General and Further Education and Training Quality Assurance Act, 2001 has been added to the site (26 August 2003). The Further Education and Training Act, 1998 has been added to the site (26 August 2003). The Adult Basic Education and Training Act, 2000 has been added to the site (26 August 2003). The National Road Traffic Act, 1996 has been added to the site (26 August 2003). The Road Traffic Management Corporation Act, 1999 has been added to the site. (21 August 2003). The Administrative Adjudication of Road Traffic Offences Act, 1998 has been added to the site. (21 August 2003). The Financial Intelligence Centre Act, 2001 has been added to the site. (21 August 2003). The Plastic Bag Regulations 2002 have been repealed and replaced by the Plastic Carrier Bags and Plastic Flat Bags Regulations in the Environment Conservation Act, 1989. (14 May 2003). We have added a Frequently Asked Questions section – please have a look here before emailing us with a question. We have placed a link through to Sabinet on the main page of the site. Sabinet offer a subscription service which contains far more than what we have can deliver for free here on Acts Online, including electronic access to the Government Gazette. The Occupational Health and Safety Act, 1993 has been kindly sponsored by ApplyIT – ApplyIT develop the Aurora suite which includes comprehensive Safety Management capabilities. The Disaster Management Act, 2002 has been added to the site (4 March 2003). Amended the South African Revenue Services Act, 1997 (Feb 16, 2003). Mineral and Petroleum Resources Development Act, 2002 added to the site and kindly sponsored by African Explosives Limited. (7 January, 2003). Explosives Act, 1956 has had the new Explosives Bill added to it for comparative purposes. (7 January, 2003). Taxation Laws Amendment Act, 2002 (30 of 2002) has been applied to the Acts on the site that it has affected (Income Tax, VAT, etc.). (October 2002).